One of the judges involved in the trial of Apple against Samsung in the UK, which took place in October last year, now works for Samsung. 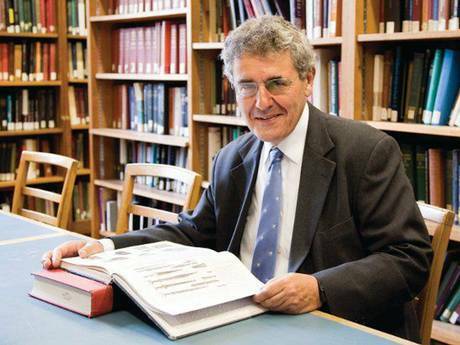 The news would not be controversial if it were not for the judge, Sir Robin Jacob, Apple forced to apologize publicly to Samsun g and recognize that no rival had copied the design of the iPad. Apple had to submit to the will of Sir Robin and publish on its official website a statement warning UK visitors to the unusual sentence. But this was not all: from Apple also forced to publish an apology in newspapers across the country and had to edit the text on the web because the judge considered 'inappropriate'. Because of 'inadequate' we have to qualify the decision of Sir Robin, who has gone to work for a law firm hired directly by Samsung. The judge will help Samsung in new legal cases that occur in the country. According to sources close to Sir Robin, this will help - for now-in a case that Samsung has filed against rival Ericsson. From the office of Sir Robin Jacob say qu e does not hold any conversation with Samsung during the trial and that the South Korean company contacted him last January 9, 2013 for the first time (this case was closed in November 2012). From the moment Apple have not spoken about it, but it's clear that this story is more than suspicious. Article Judge forcing Apple to apologize to Samsung, now works for the South Korean was originally published in News iPhone .